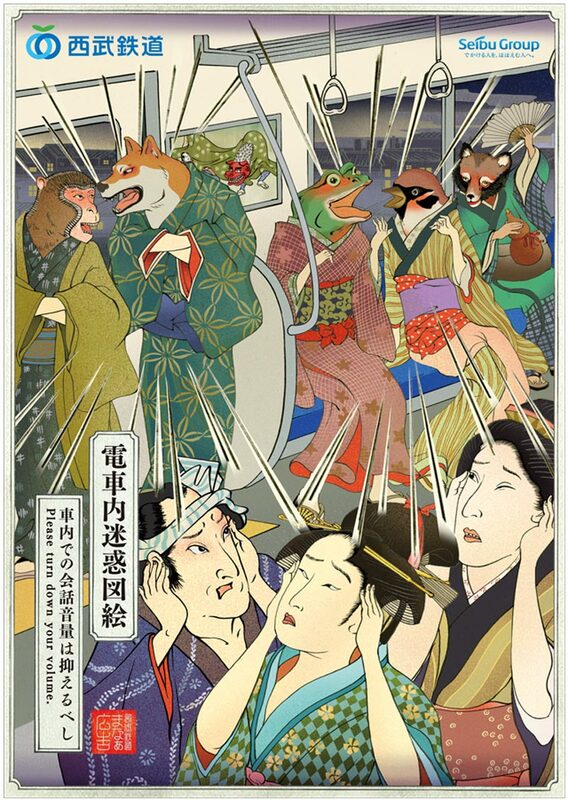 We already know that art can be an excellent source of inspiration for advertising, so it doesn’t come as a surprise that this campaign inspired by ukiyo-e (traditional Japanese prints) works so well to remind train users to keep good manners on the train. 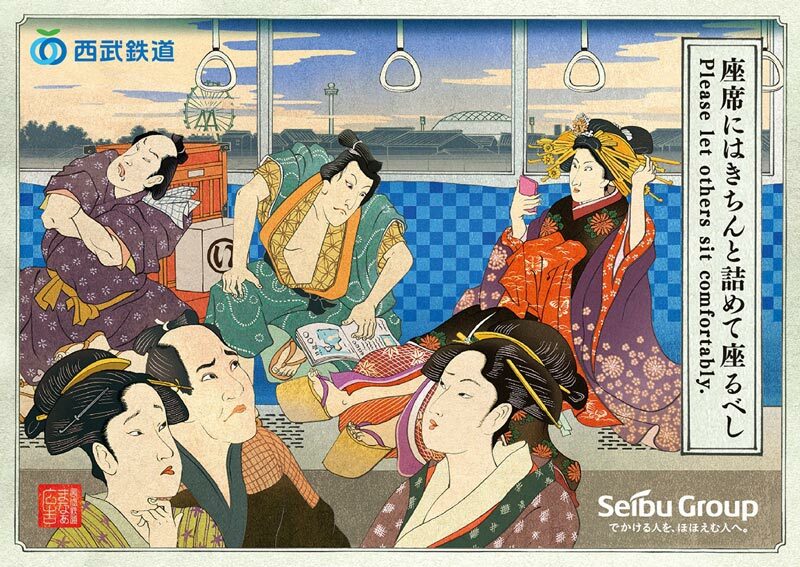 Seibu Railway releases each year a new poster that is used for prevention purposes. 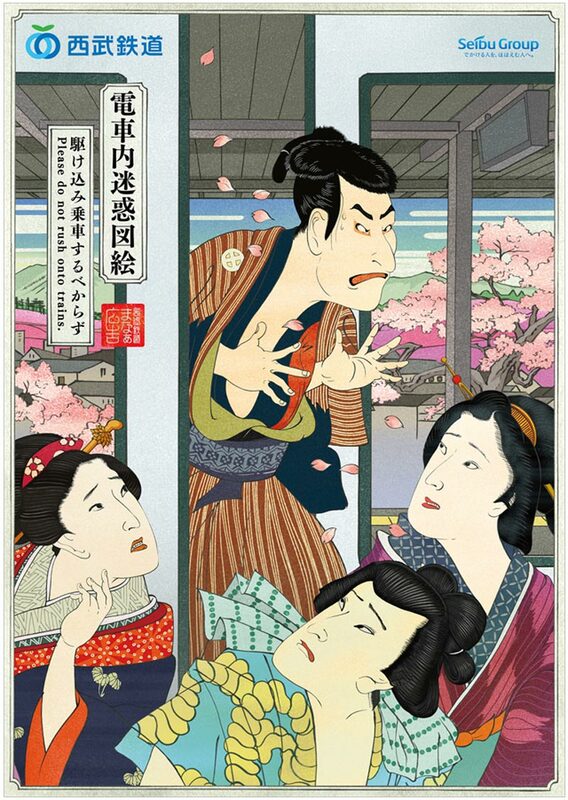 The posters use mostly Kabuki actors as characters of its ads, the Kabuki prints are notoriously known for their expressive faces, so it shows very well how annoying the noisy train travelers are, and how annoyed the others can be.